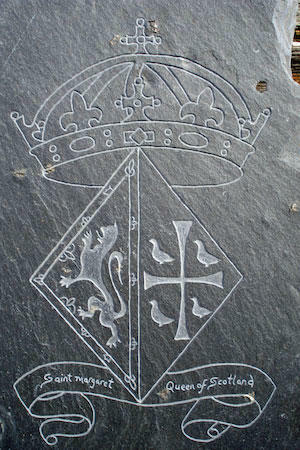 Martin Wilson of Hatch, Burn, Carve is well known as a slate and stone artist and crafter based in the Scottish Borders. All of the pieces he creates are mostly recycled, reclaimed and found on his travels around the UK. 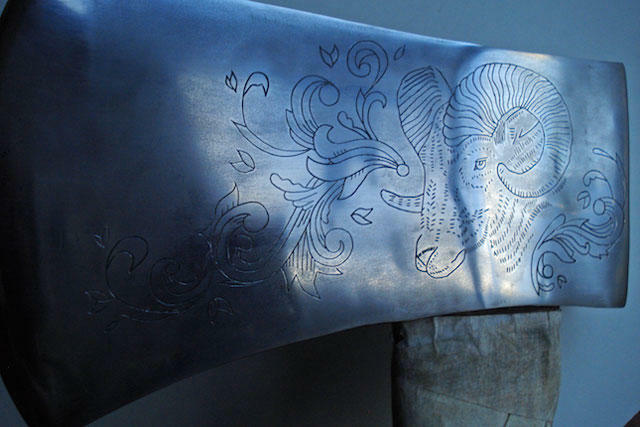 They are all carved freehand in his workshop using a variety of Dremel, Foredom and Proxxon tools with carbide burrs and diamond burrs, as well as traditional hammer and chisel. 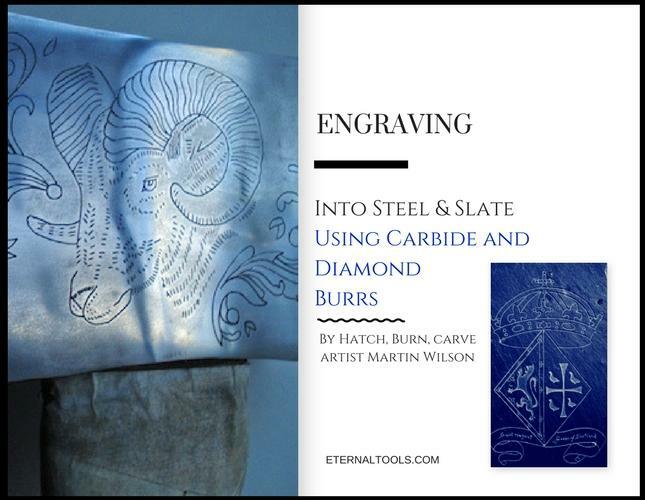 For engraving steel Martin found the 0.5mm small carbide burrs to be ideal, using a total of seven burrs to complete the design. He also recently used the same burrs on a brass plaque with great success. "I've been using these carbide burrs on a variety of materials. 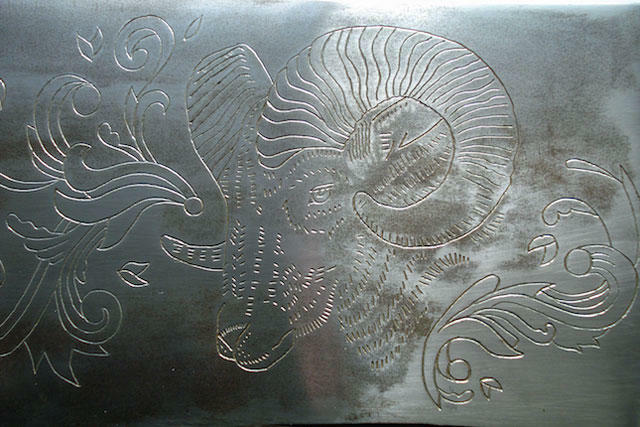 They engrave brass with ease and I was pleasantly surprised at how well they coped with hardened steel"
Carbide burrs need to be used at high speed. No lubrication is necessary. Diamond Burrs should be used at a slow speed with water as lubrication. 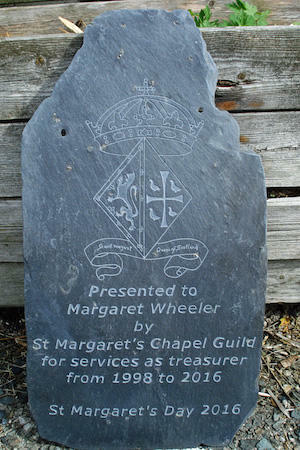 The St Margaret's Chapel Guild presentation plaque below was carved using Eternal Tools diamond burrs. "The small diamond ball burrs were fantastic for carving the St Margaret's Chapel plaque. I've been using diamond burrs for many years, but these are the best! They stay sharp and true for a long time and carve slate with ease"